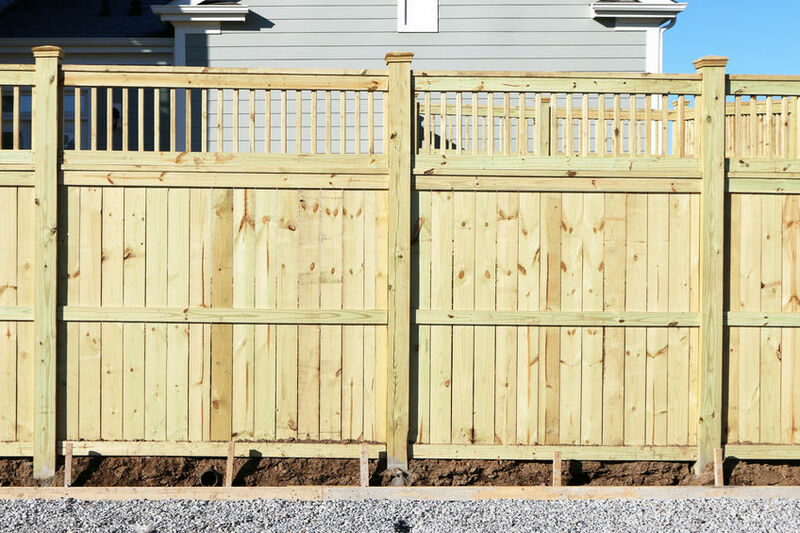 We don’t give fences enough credit – when it comes to curb appeal, that simple fence can make or break you. They offer you protection, they provide you with privacy, they mark the boundary lines of your property, but there’s more to them than that. They can provide the front of your home with a focal point. You can use them to highlight your landscape. There are hundreds of options to choose from when you consider the various styles and material options. It’s easy to get overwhelmed by the decision when you think about it like that, but to make your life a bit simpler we have narrowed it down to just five great timber fence designs. Remember, the perfect fence for you is one that matches your style, the surroundings, and ticks all the boxes of what you want your fence to do. Some are more suited to privacy than they are aesthetics, while others are all about style and of little substance. Only you can determine which key factors are important to you. Do you want a fence that offers privacy, security, and style? Then consider an ultra-modern horizontal timber fence with black slats. It’s elegant, it’s stunning, and it’s even easier to maintain. Slatted timber fences are actually incredibly trendy right now. That doesn’t mean you need to worry about them going out of style because they have always been popular and always will be. They may be rustic inspired, but there’s nothing rustic about them. Embrace horizontal wood slats in warm cedar tones, they complement just about any style of home and yard. If you’re thinking about what type of timber fence will work in your front yard, then consider vertical timber posts. Go chunky with the full post, they will impose themselves on the space and offer an incredibly unique design. You are keeping people out, but you aren’t fencing yourself in or hiding your stylish front yard. Are you thinking more organic? Then a bamboo fence is something completely different and totally special. Bamboo is sustainable, it offers you plenty of privacy, it adds security, and it looks amazing in pretty much any setting and on any landscape. It offers plenty of coverage and it’s incredibly easy to build and install as well. You can combine timber with other materials, such a metal sheets, metal panels or even stone. A combination of timber and metal sheets is affordable, it’s tough, durable, easy to install, and completely customizable. This fence is functional, but it doesn’t sacrifice on style. If you aren’t sold on metal, you may want to consider timber with stone. It’s modern, it’s tough, and it’s incredibly attractive. There are plenty of options available to you when it comes to fence designs. It doesn’t matter what your style is or how much space you have, you are guaranteed to find a material and design that works for you on every level. What boxes do you want your fence to tick? Previous Previous post: Does The Color Of Your Fence Matter?